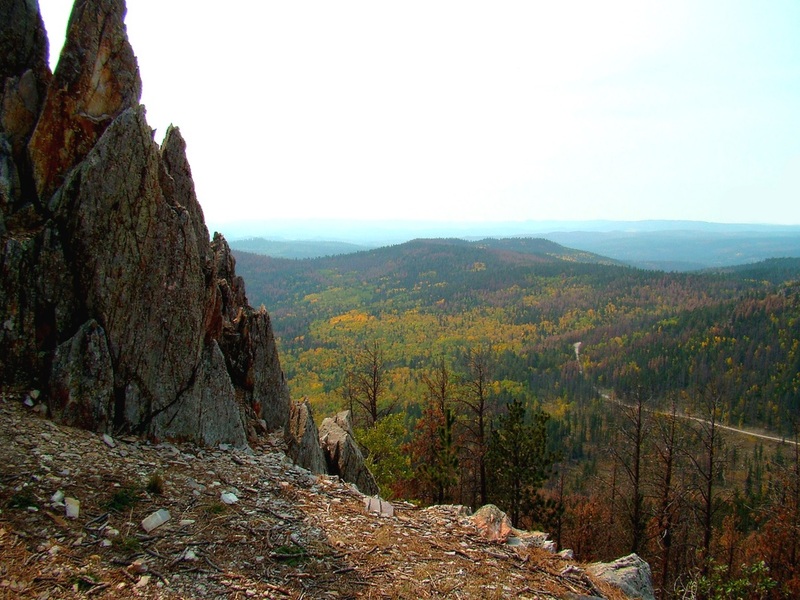 One of the most prominent peaks in the northern Black Hills is Custer Peak. 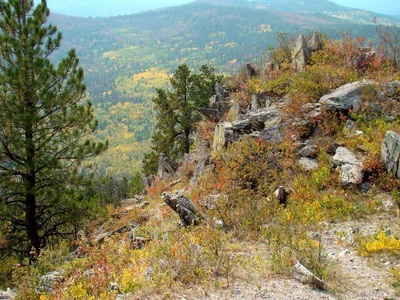 It’s located about 7 miles south of the Deadwood-Lead area. Like so many things in the Black Hills, it was named for General George Armstrong Custer, who explored this area in 1874. Though the mountain was named for him, his group did not make any attempt to climb the peak. 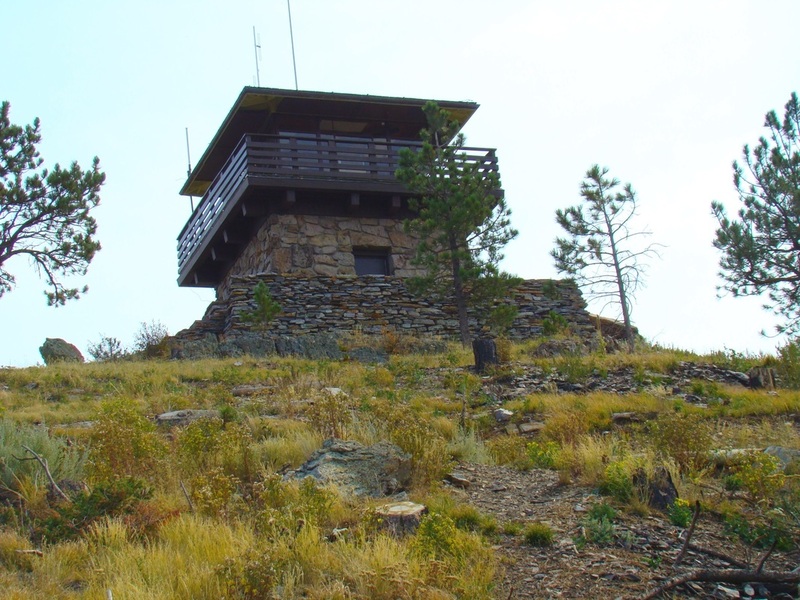 At the summit, there is a fire lookout tower that was constructed 1937-1938 and is still used, though generally only during fire seasons. It is now on the National Historic Lookout Register. There are several other small buildings at the summit, plus some ruins of earlier structures. The views from the summit are clear and pretty much unobstructed. 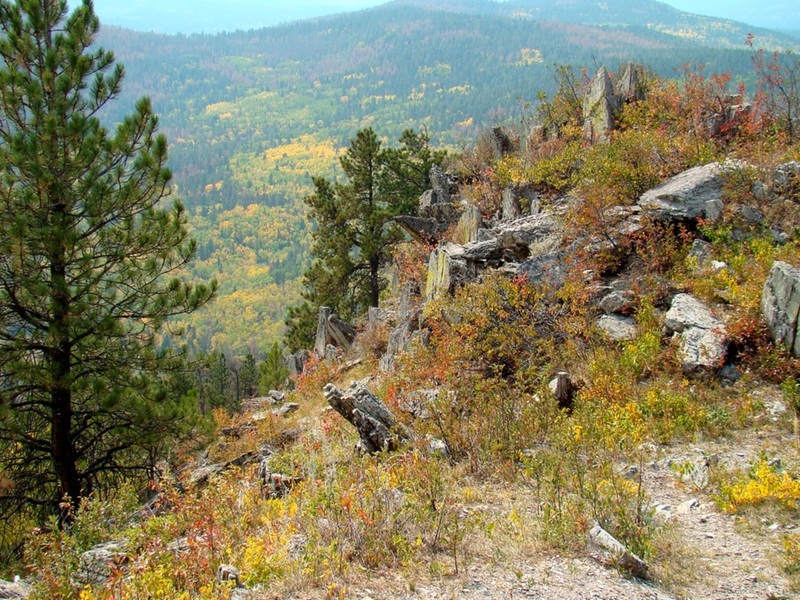 The easiest summits to identify from Custer Peak would be Black Elk Peak to the south-southeast, Bear Butte to the northeast, and Terry Peak to the north. There are three brass geodetic markers at the summit. You will have a little over 500 feet elevation gain to the summit. The forest service sometimes has the last segment of the road closed and it is extremely narrow the whole way – a long way for anyone to back down to yield to a forest service vehicle coming down the road. 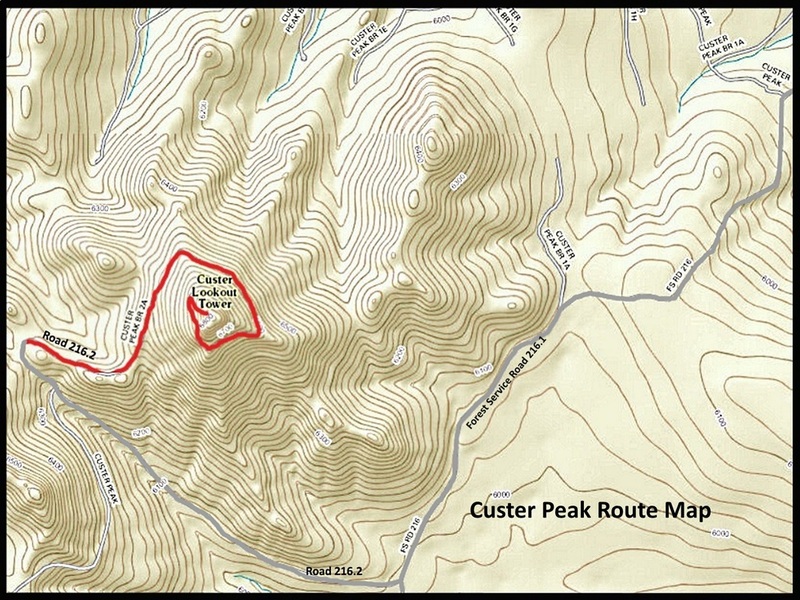 If it is in an “extreme fire danger” period, any access to the summit may be closed until further notice. So you will want to be sure to call ahead. 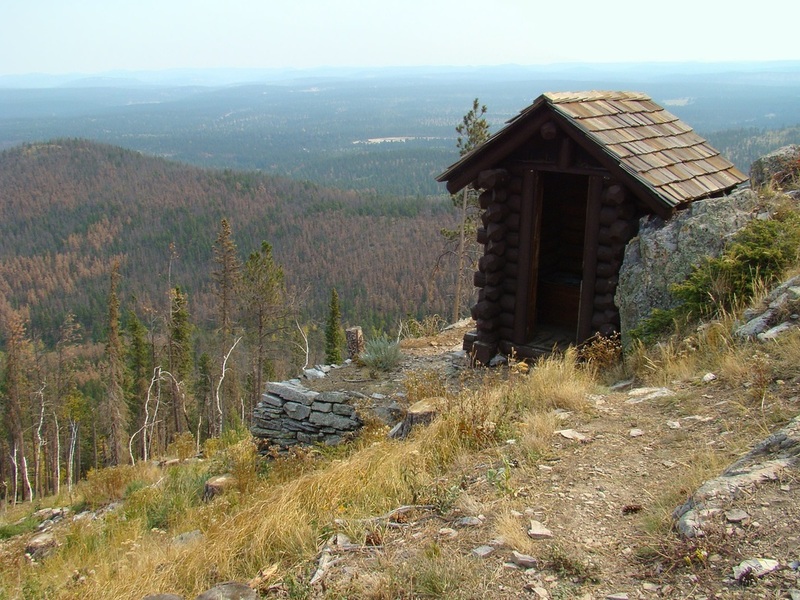 The Forest Service Office in Custer should be able to give you the latest information. Their number is (605) 673-9200. 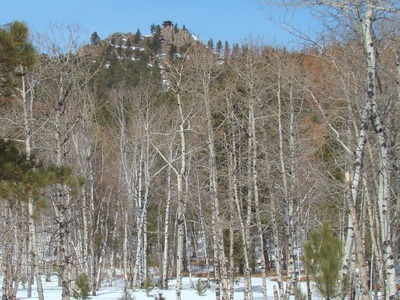 Custer Peak is usually accessed from Highway 385. 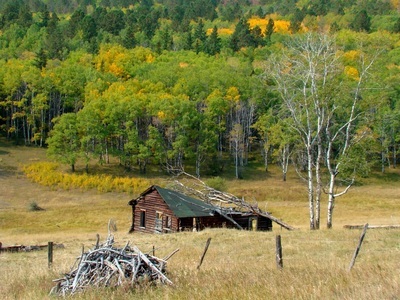 About 7 miles south of the Deadwood-Lead area, turn west on Forest Road 216.1 (Custer Peak Road). 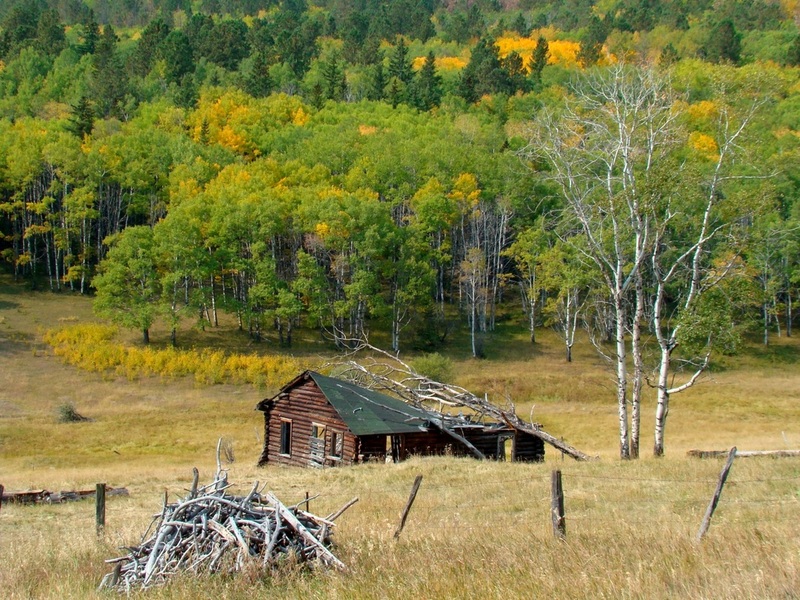 2.2 miles west from the highway, you will find Forest Road 216.2. Here, you can choose to hike or use 4-wheel drive the rest of the way. 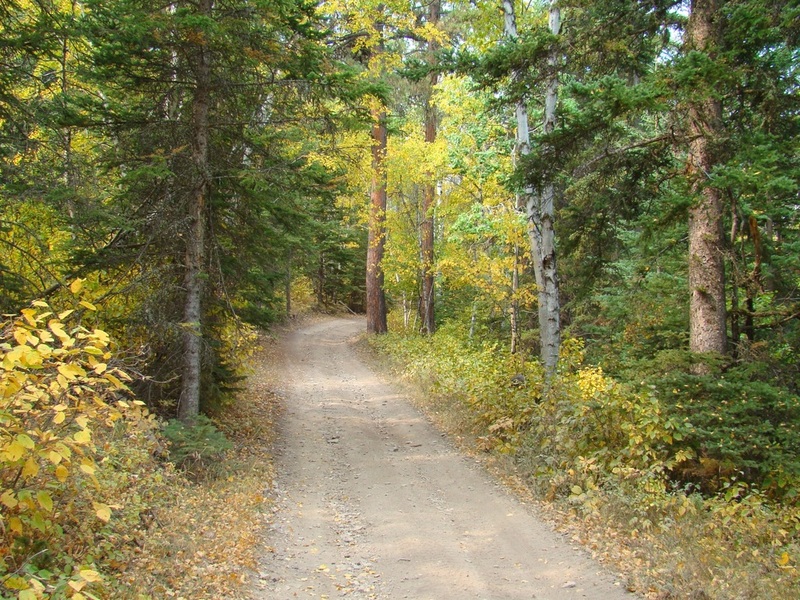 Turn there (north) and follow the road to Forest Road 216.2A (about 1 mile). There is also another road that goes east from that intersection. It is Snowmobile Trail 7. If you are 4-wheeling, at this point you should park and hike the rest of the way to the summit. The final stretch to the summit is less than 1 mile. 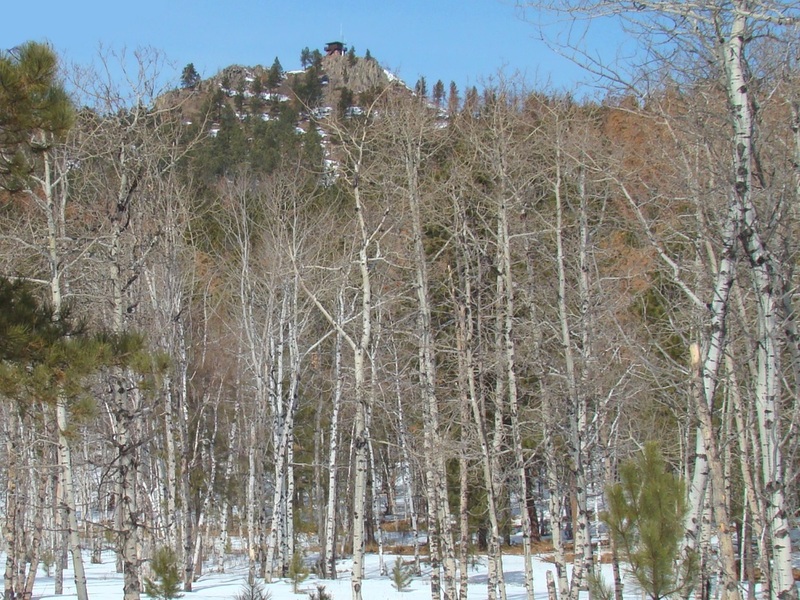 You will come to a very small parking lot, and then the last segment goes up the ranger parking space and turns into a rocky trail to the fire lookout tower. 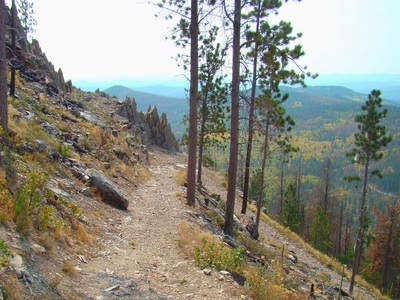 Forest fires in this region are serious concerns and the “no access” rules are enforced during “extreme fire danger” periods. There are also vehicle restrictions from the junction of Forest Roads 216.1 & 216.2. Only small to medium-sized 4-wheel drive vehicles are allowed from that point. The route map in the photos below may be of help to you.